Easterseals is one of the largest nonprofit agencies in Southern California providing services for people with disabilities. 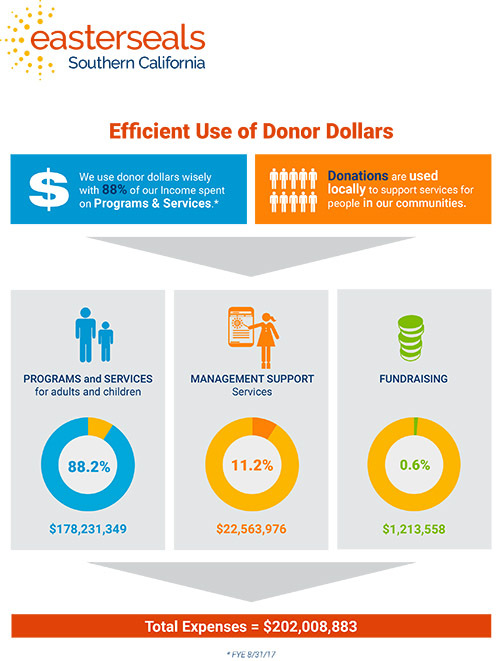 We are proud of our record of putting your donations to work effectively. In the Fiscal Year ending August 31, 2017 we spent more than 88% of our income on services in local communities throughout Southern California. Click here to view information about our purpose, impact, financial information, and more, on our 2017 Annual report website. View the print report here.